My WCW goes out to all Women Bosses, Leaders, Mentors and Entrepreneurs out there. I admire women who are confident, have a vision, take charge and create opportunities for themselves and others. This is a major reason why my cousins and I started an organization called Bosses in Heels, LLC., to support and create avenues for entrepreneurs and small business owners to connect, learn and grow. 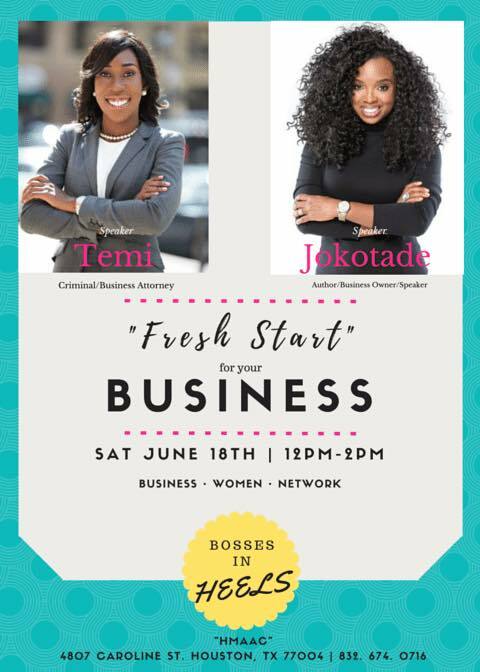 One of the avenues we created is a business workshop and we’ll be hosting our first one called “Fresh Start for your Business” on Saturday June 18th from 12pm–2pm in Houston. 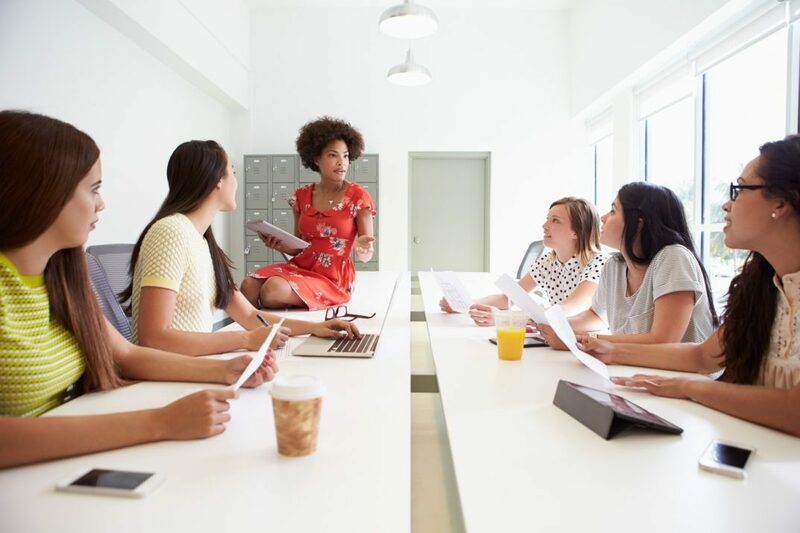 Women are currently the most educated globally according to an article in Forbes, with women earning more college, masters and doctoral degrees than men. Also, we all know that an economy is stronger when girls/women are educated and attain leadership positions. Therefore, our goal is to empower women with the knowledge and the tools needed to create and sustain a successful business. According to Iyanla Vanzant, a Motivational Speaker and Life Coach, “The way to achieve your own success is to be willing to help somebody else get it first.” So, are you a business woman thinking of starting or re-branding your business? Do you have a new or part time business and want to learn how to grow it into an empire? Are you an aspiring young entrepreneur interested in how to prepare your business plan or are you just interested in making more income? Well! look no further, we’ll tell you how at our event. 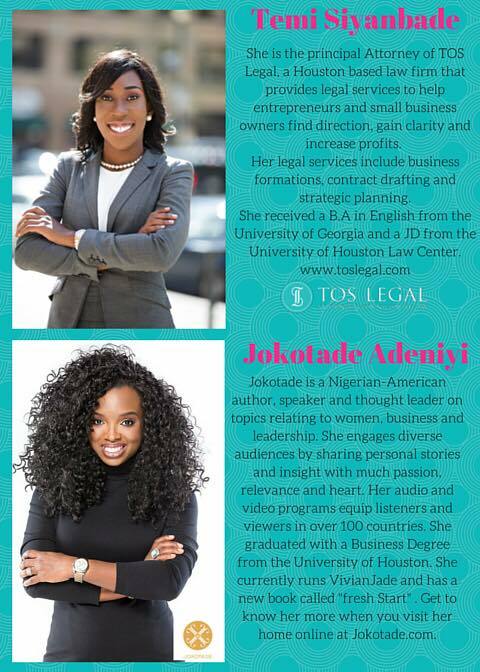 Joining us will be the Multi-talented Author Vivian Jokotade and Lawyer Temi Siyanbade. Why you should start your business and What business you should start. When and How to start and set up or a new business or change an existing company. Re-branding and Refreshing an existing business and how to manage your company. Join a Network of Women Bosses, Leaders and Entrepreneurs. Come, Support and Learn how to make an impact in your world. Do not miss this great opportunity. We hope to see you there. Tickets are on EVENTBRITE. “Don’t just stand for the success of other women – insist on it.” – Gail Blanke, President and CEO, Lifedesigns. This is so inspiring.i am so watching this space.you ladies really do inspire muoi. Aww thanks darling. That is what this blog is all about, to share my world and my passions to inspire people to live life to the fullest.